Personal care assistant forged and deposited check stolen from resident. Huppauge, NY - February 6, 2014 - Attorney General Eric T. Schneiderman today announced the guilty plea of Stephanie Benodin, a former personal care assistant at The Tuttle Center, a life care retirement community that is part of The Amsterdam at Harborside in Port Washington, N.Y. She admitted that she took the victim’s check out of her checkbook, signed the victim’s name without permission or authority, made the check payable to Benodin’s mother for $10,000 and deposited it into her mother’s bank account. The check was returned for insufficient funds. Under the terms of her plea deal, Benodin will serve two months in jail, get three years’ probation and be prohibited from working with incompetent, elderly, infirm or disabled persons for three years starting from the date of sentencing. Benodin was caught on bank video, depositing the 88-year-old victim’s forged check into her mother’s bank account. The 26-year-old Queens resident pleaded guilty to Attempted Grand Larceny in the Fourth Degree in Nassau County District Court before Judge Susan T. Kluewer. Sentencing is set for April 9. Attorney General Schneiderman would like to thank the Port Washington Police District for their willingness to work cooperatively, and particularly Detective Domenico Morrocu for his outstanding police work. The case is being prosecuted by Special Assistant Attorney General Megan Gallagher of the Attorney General’s Medicaid Fraud Control Unit’s Hauppauge Regional Office under the Supervision of Regional Director Jane Zwirn-Turkin, MFCU’s Acting Director Amy Held, Chief of Criminal Investigations Thomas O’Hanlon and Executive Deputy Attorney General for Criminal Justice Kelly Donovan. 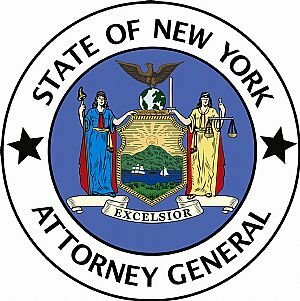 Subject: LongIsland.com - Your Name sent you Article details of "AG Schneiderman Announces Guilty Plea by LI Senior Center Aide for Attempting to Steal More Than $10k from an 88-Year-Old Woman in Her Care"